Corey Lewis, 27, made national news on October 7 when he live-streamed the incident in which a woman called the police, saying she was concerned about the welfare of the two white children he was babysitting. She first approached him in the parking lot of a Cobb County Walmart wanting to speak to the kids. When he said no, she followed him, against the advice of a 911 operator, to a gas station and his home. Cobb County Police responded and called the parents to confirm Lewis’ identity. 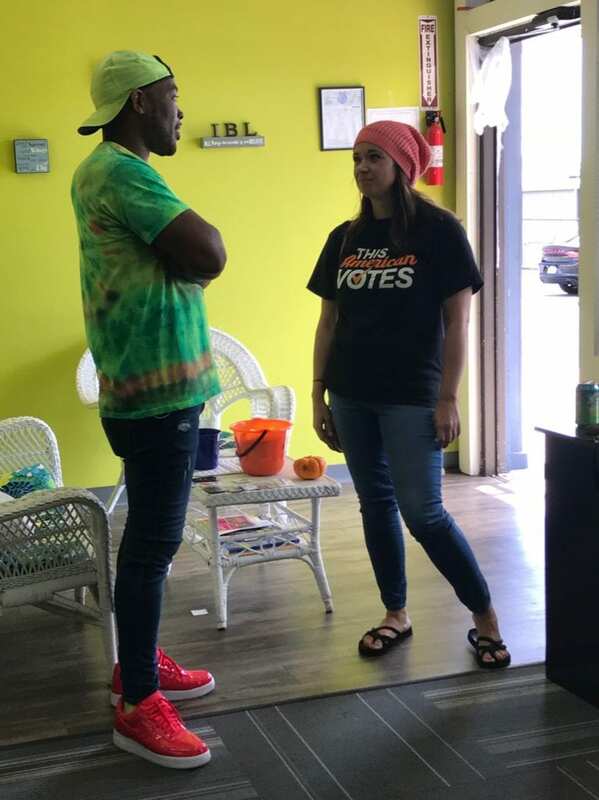 Corey Lewis speaks with a community member who dropped by to offer encouragement. 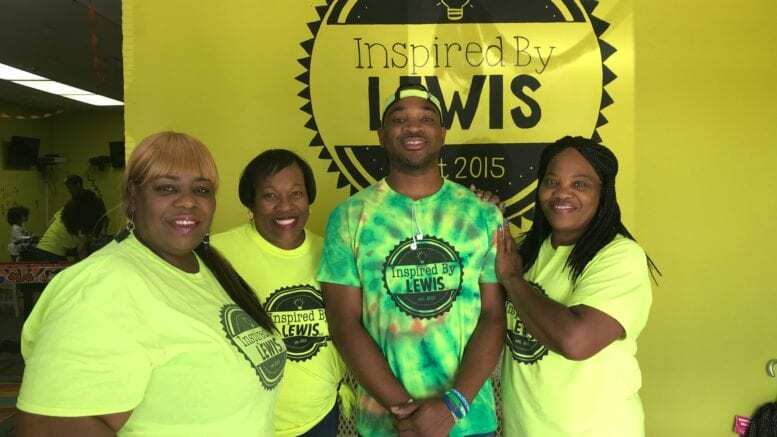 Lewis was motivated by his time as a special needs paraprofessional to create a program where parents didn’t have to worry that their children with behavioral issues would be kicked out. He focuses on social skills. Lewis said he has not spoken with the woman who called 911. “I would like to speak to her. 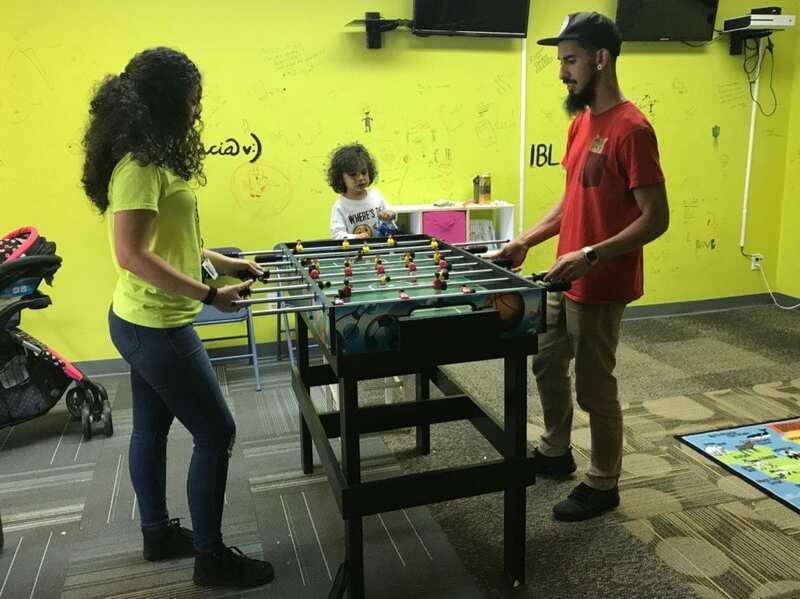 I would like to have a conversation and see where her head is on everything and how we can come together to collaborate to turn this incident from a negative to a positive,” he said. Abby Rittberg brought her family to the event to show support. Her seven-year-old son has autism and attends Lewis’ camps. “It’s just great. I know that Corey takes all the kids out and gets them to socialize, which is really important. I would highly suggest it to anybody that has a kid that has special needs or needs mentoring,” Rittberg said. Inspired by Lewis is located in the Sandy Plains Shopping Center at 2692 Sandy Plains Road, Suite 2300. Rebecca Gaunt earned a degree in journalism from the University of Georgia and a master’s degree in education from Oglethorpe University. After teaching elementary school for several years, she returned to writing. She lives in Marietta with her husband, son, two cats, and a dog. In her spare time, she loves to read, binge Netflix and travel. 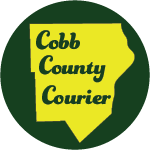 3 Comments on "Cobb Community Shows Support For Corey Lewis After Babysitting 911 Incident"
I think the lady that made the accusations should be forced to make a public apology to Lewis and also to make a charitable contribution toward his cause. I Think the police department needs to start him a gofundme because of how he was treated..
My name is Dr. Juanita Hoke. I am a retired middle school teacher of 42 years. I have always mentored students, especially struggling or unmotivated learners. Corey Lewis, let’s meet and talk about my learning mentoring.